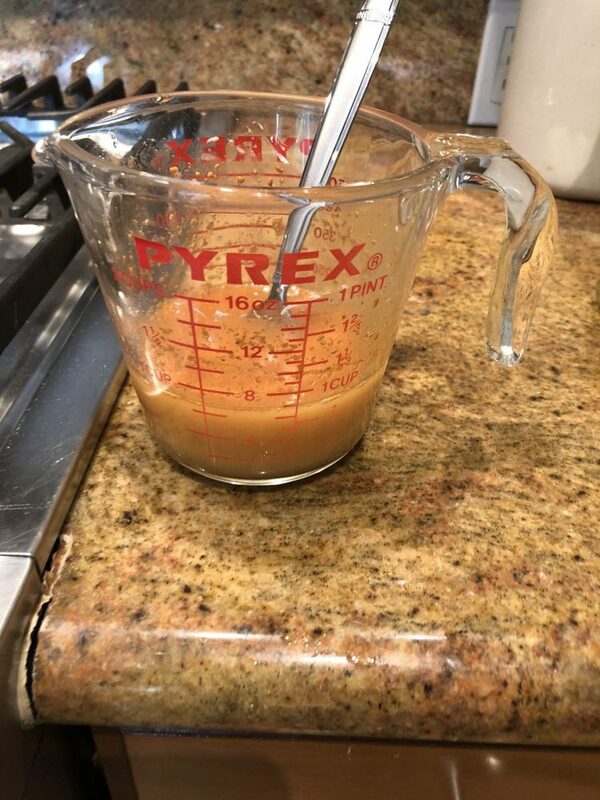 I adapted this recipe from the amazing chefs at Cooks Illustrated. 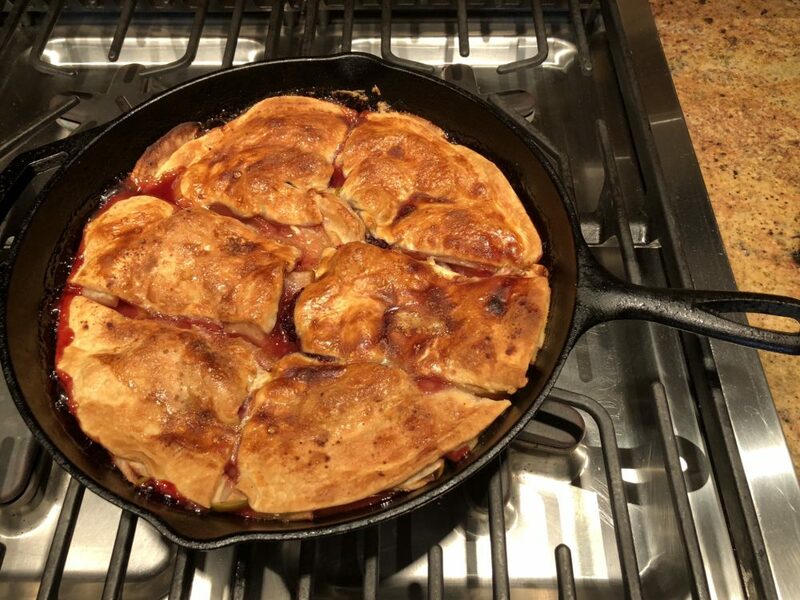 It's super tasty, it's easy, and it's one more chance to showcase your cast iron skillet. 1Melt butter in cast iron skillet. 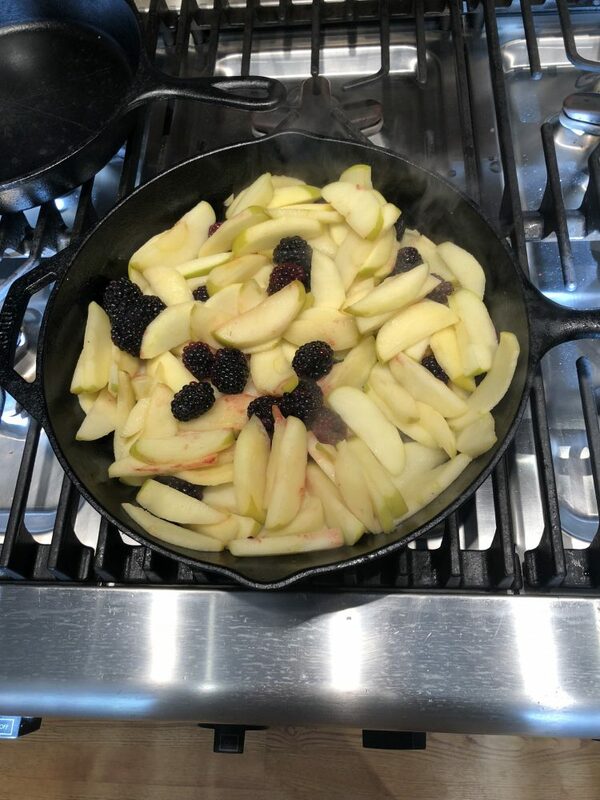 Throw in apples and start to sauté. Don't over-stir. 2Mix Cider, Honey or Syrup, Cinnamon, and Corn Starch together. Set aside. 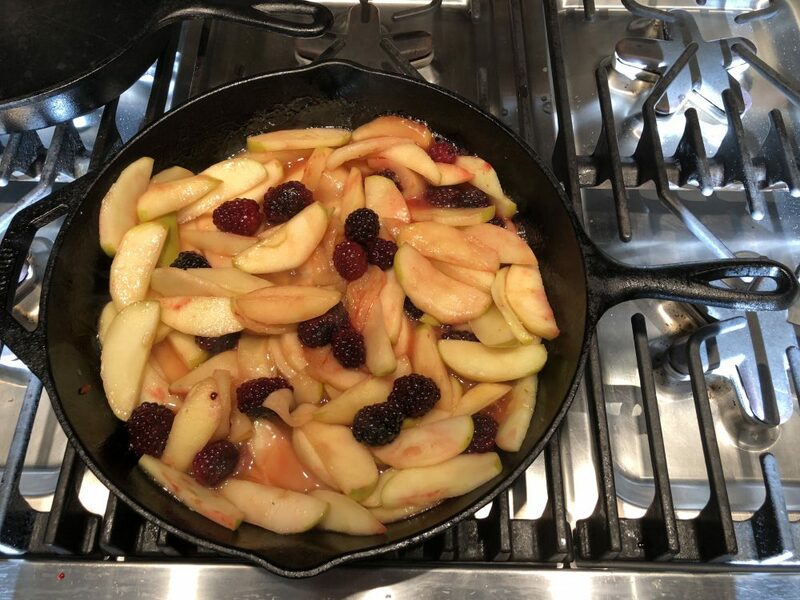 3As apples get close to ready, add blackberries or other fruit. 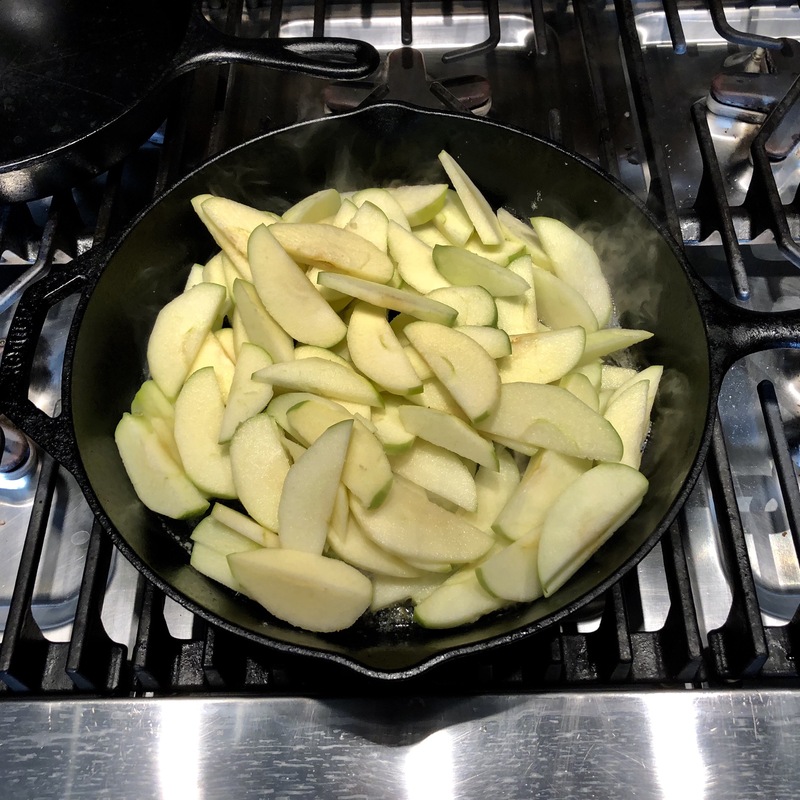 4After 7-8 minutes, when apples have softened, turn off heat and mix in cider mixture. 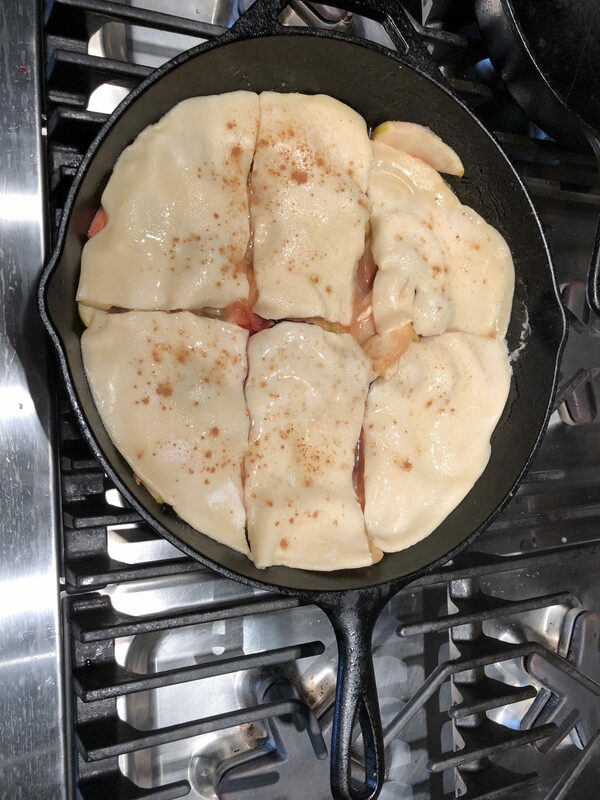 5Lay crust over apples. Brush with egg white. Sprinkle sugar over the top. Sprinkle a little extra cinnamon if you like it as much as I do. 6Bake in a 500 degree oven for 20 minutes. Let cool for at least 15 minutes, and serve with ice cream! Show off that cast iron piece or art before you start serving. You deserve the artistic credit!